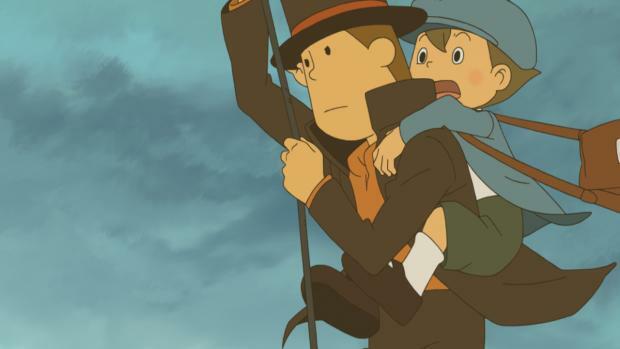 The last time I checked in with Level-5’s popular Professor Layton series, the supremely top-hatted puzzle solving gent was still entrenched in the previous generation of consoles. The verdict was that the possibilities offered by the 3DS could provide some stunning new puzzle concepts and give the series a new lease of life. When the series did eventually make the leap into 3D, it certainly did spruce things up nicely, although not necessarily in all of the areas you would expect. The puzzles – which are the meat and drink of this franchise – were not really affected by the stereoscopic effects. Rounding off the series, Azran Legacy is another expertly crafted adventure which uses the platform to deliver some stunning visual effects that make the point and click parts of the game a joy to explore. The stunning 2D anime cut-scenes aside, the 3DS has eschewed the hand-drawn backdrops and characters of the previous games and is a shift to polygonal character designs and stunning multi-layered backdrops that, like Paper Mario, make each scene feel as though you are peeking into and exploring a diorama. It is the kind of thing that one imagines the console was born to do. Each area is brimming with life. 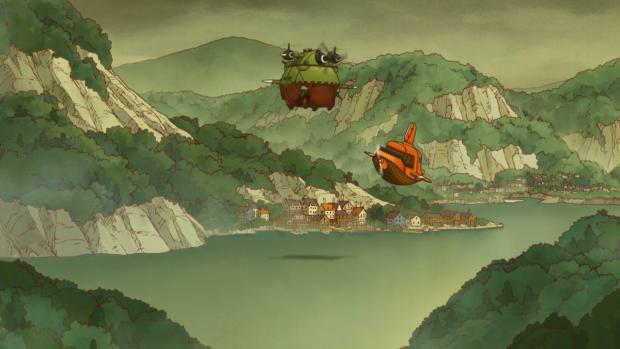 Steampunk airships, beautiful snow-capped mountains, quirky seaside villages with their fish markets and grotesque inhabitants – it may look more flashy but the commitment to Level-5’s Miyazaki-meets-Belleville Rendezvous style is intact. It is beautiful. In a forest scene, a trail of soldier ants crawl along carrying their spoils. Tapping a tree will see acorns fall from the forest canopy. You can now zoom in on certain areas of interest, which will then open out into a new, previously unseen room. The cursor makes things nice and simple. If there is somewhere to zoom in on, it will glow blue. Areas of interest are signified by a red circle, and there are hidden items to find as well as the staple Hint Coins. The items you encounter are more than just mere collectibles. 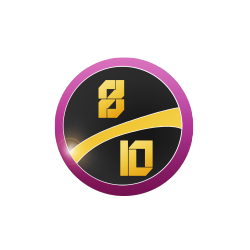 They are part of special challenges that are set which when completed allow you to unlock rewards and even create your own challenges for other users on StreetPass. Although the challenges themselves are fairly simple “gather three items” affairs (with the items themselves not exactly difficult to spot), it still adds an extra layer to an already impressive package, and some of the prizes you can unlock are simply superb – with some excellent unlockable cut-scenes that delve even deeper into the mythology of the series and some of the characters Layton has encountered over the years. Clever, handy touches abound. Layton’s Journal is always a great way to keep abreast of things, and the easily accessible memo pad allows you to scribble notes when needed. The game is ideally suited to play in short, handheld bursts. Knock out a few puzzles before bed, for example. You simply cannot ignore the overarching yarn that keeps the action going which is why it is ace that you get a little story recap each time you turn the game on, just so you don’t forget why you are cracking the brain teasers in the first place. The puzzles themselves do not deviate from the template laid down in the very first Layton title. This also means that besides a few graphical flourishes, very little practical use of the 3D and zero use of the gyroscopic capabilities of the 3DS are on offer. More of the same is very much the order of the day, and while part of you wishes that there was something dazzling and new, there is also a nice warm pipe and slippers familiarity about tackling a traditional Layton block-pushing puzzle, or working out how to divide something into sections using a limited number of lines. There are a huge amount of puzzles in-game, with hundreds of promised daily downloadable efforts thrown in. 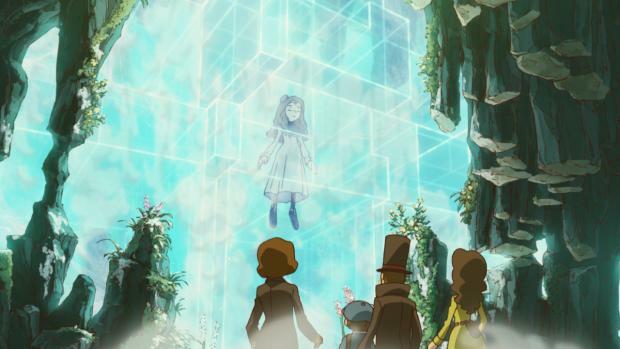 It wouldn’t be Layton without the occasional “WTF?” moment – a puzzle that is so obtuse that it will have you slamming down those hint coins in frustration. One early example involving a present encased in ice has a solution that is, with hindsight, incredibly simple – but just seems a bit daft and does make you long for a decent physical challenge instead. There are several puzzles that will seem too wordy for some – such as a simple question of “How many of item X do you need to achieve solution to problem Y” – yet other times there can be quite a lengthy gap between puzzles. Longevity is great, but sometimes you want the teasers to come a bit thicker, a bit faster. When something that takes you away from the norm does arrive, it comes as a shockingly unexpected curveball – quite early on you are transported into a great-looking but clunkily handled fully 3D rail shooter section (I kid thee not). It all seems a bit odd having Layton, Luke and Emmy blasting down missiles in the sky, but at least they tried. It doesnt help the pace of the game that there are a couple of mini-games included in the package that are worryingly immersive and will eat into the time you could be spending travelling the world with the Prof, unlocking the mysteries behind the Azran civilization in your awesome Bostonius airship. The most interesting of these revolves, curiously, around fashion design. Dress Up is a kooky affair which ties in with the main game rather nicely. On the course of your travels you pick up or are given items of clothing. You are then given challenges by characters you have met along the way, requesting that you design them an outfit in accordance to their chosen style and taste. Each item of clothing has a set of RPG-esque values chosen from five parameters with five star ratings for each: cute, trendy, formal, casual, and Glam. The request will say something like “I want an outfit that is at least 4 stars in the Trendy stakes, and no pink!” You then need to use what you have found to create this sartorial masterpiece. Nut Roller is a mind-bending top-down isometric puzzler that puts most standalone downloadable titles to shame, as you help a squirrel guide a nut towards a goal on a course littered with traps and obstacles. Blooms and Shrooms is a strange gardening based puzzle involving planting seeds to fill flower beds and withered trees with blooms without bothering the nasty poisonous fungi. You set your seeds on the Bomberman-styled course, each type of flower having a different bloom pattern. Once you are sure you have placed them all in the right spot, you press the “Bloom!” button and find out whether you have ended up with a beautiful array of flora, or a cloud of abhorrent spores. VERDICT: There isn’t anything staggeringly new here in terms of the way the core game operates. With all the 3D tricks, the template is still very much the same, as you are guided by the hand by speaking to NPCs, so you can actually complete the game without solving all of the puzzles, and will be provided with plenty of hint coins to smash even the most devious quizzes thrown at you. On the flipside, for those that are completists, who want to eke every drop out of their Layton, there is a staggering amount of depth here, not just from the multiple puzzles,but from the way all of the mini-games are directly tied into the main adventure, and the Treasure Hunt mode can actually provide a beneficial reason to keep your idling 3DS in your pocket, lest you have a cheeky StreetPass encounter that will unlock a juicy reward. The 3DS has certainly come of age this year, and this is another sterling effort that combines expert design with frankly gorgeous looks and sounds.